Do not hesitate to reinvent yourself periodically as you grow and lift up your business to a new level. Personal branding is the process of marketing yourself and your career as brands so as to establish an ‘image’ about yourself, or your business in the mind of others. 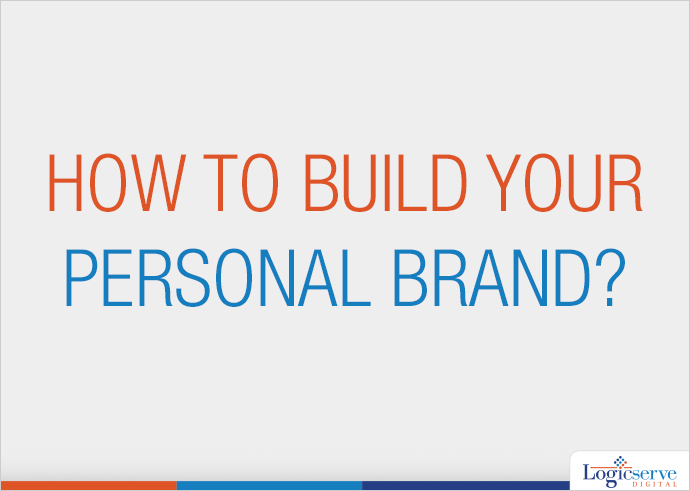 In today’s era, building your personal brand is as important as building your company’s brand. Thus, every business owner/ entrepreneur is currently paying attention to building his/her personal brand because the 21st-century audiences prefer communicating with a real individual more than a faceless organization. Generates impressive Returns on Investment, whether you are leading an organization or working with one. Now let’s focus on the essential factors that will help you hone your personal brand this year. Assess Your Online Presence Regularly: In order to build a positive perception, you should first comprehend your present online status. The best way is to Google your name on the search engine on a regular basis. At the same time, setting up Google Alerts for your name will also help you get regular updates, as and when your name appears online. Build a Personal Website: For building your personal brand it is essential to take charge of your digital footprint by having your own space on the internet, and the best way to do that is to rank for your name on different search engines. You can achieve this by having a personal website consisting of at least three web pages to highlight your bio and resume, along with the links that direct visitors to your social pages. What’s more, you can also start blogging on your website to reach out to a wider audience. Define Your Brand by Being Your Authentic Self: Your personal brand should be a reflection of your real self. In simple words, your personal brand should mirror your personal beliefs and vision along with your strengths and weaknesses. Building a fake persona may prove to be favourable for the moment; however, it can be catastrophic in the long run, as even the smallest amount of discrepancy will provoke people to lose their trust in you. Thus, for long-term success, make sure you build a powerful and authentic personal brand around your true self by taking off your masks. Follow a Content Strategy: The content that you post or share on Facebook, Twitter, Linkedin, and other online platforms play a key role in moulding your personal brand. Thus, you should post relevant updates that communicate the voice of your brand or any attention-grabbing information about your industry. Your content strategy should revolve around adding value to your audiences. For example, you can demonstrate your expertise to your audience by writing thought leadership articles to build your credibility. Moreover, this is an ideal way to show that you understand your industry and are confident about what you are talking about. Connect with Other Established Brands: The reputation of your personal brand also depends on the brands you associate yourself with. Thus, make sure you associate yourself with powerful brands that can help you enhance your personal brand. You can connect with strong brands either by joining their groups or by submitting a guest article to the company’s blog. Keep Yourself Updated About The Latest Industry Trends: To enhance your personal brand, you should always keep growing by expanding your knowledge about your industry. Since industry trends keep changing rapidly, it is advisable to stay informed about the latest industry trends. This will not only help you elevate your personal brand but also motivate your audiences to appreciate your viewpoints. Last but not least, be open about your shortcomings as this will make you more relatable. At the same time, do not hesitate to reinvent yourself periodically as you grow and lift up your business to a new level. What strategies are you following to sharpen your personal brand? Do share your ideas with us.